Sehr freundliches Personal. Nettes Städtchen. Aber eher für kürzeren Aufenthalt. Das Paintshop Hostel hat eine wunderbare Atmosphäre, bei der man schnell neue Leute kennenlernen kann. Ich habe mich dort sehr wohlgefühlt. Die Mitarbeiter sind super hilfsbereit und empathisch. Das Angebot von Surfstunden und Fahrrädern ist toll. Ich kann nur empfehlen dem Hostel einen Besuch abzustatten. By far the best hostel I ever stayed in! The people working there are great, everybody is so nice and makes you feel welcome. The beach is beautiful and only a 10 minutes walk away. There is a pizza & a BBQ night in the hostel and it has its own bar (really good prices there!). I would definitely recommend this hostel to everyone, solo travellers as well as families, as there are also nice private rooms. My friend and I are already planning on coming back. 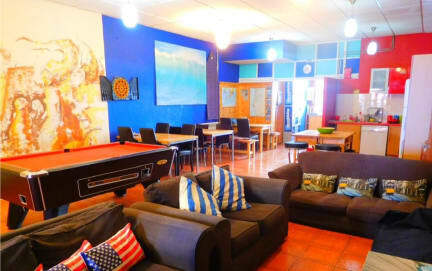 The Paintshop Hostel is a great place to stay, quite close to the beach, safe and clean. The people who work there are so so nice and make you feel very welcome. The breakfast has something for everyone and the Pizza on Pizza-night-Monday was delicious! They also offer bikes for rent, surf lessons and lots of tips... the overall atmosphere was so nice. Thank you very much! The paintshop hostel is the best hostel i've ever been! The paintshop team is very very friendly! You feel like beeing part of the family. I definitly recommend it! Thank you for your Hospitality! Next year i will come again! It was a great stay at paintshop hostel. From the beginning they have welcomed me warmly and gave me information about the city and what to do or where to eat best which was good. The whole staff is nice, I had interesting conversations with them and I could join them to watch a surf competition. The hostel is well-endowed, I haven't missed anything in the kitchen, you can use for example shampoo or a hairdryer in the bathroom or rent bikes for 5€ a day. I recommend to stay at this hostel. We enjoyed our stay at the hostel so much! Staff and people are great and very helpful. 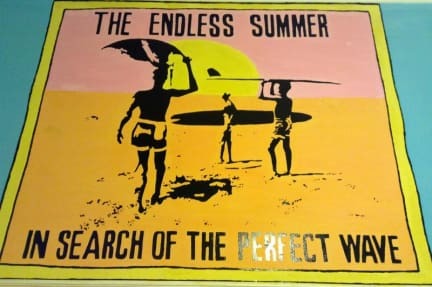 It’s close to all the important surroundings and has a laid back surfhouse atmosphere. Super Hostel, vor allem auch für jüngere (18 - 40). Führung und Team ist motiviert und hilfsbereit. Gute Stimmung unter den Leuten und viele Aktivitätsangebote. Werde ich sofort wieder hingehen. Süßes Hostel in Figueira da Foz. Besitzer hat mehrere Tiere auch einen süssen "Wachhund" :). Alles ist sehr bunt gestrichen, Zimmer sind leider klein. Hostel bietet Fahrradverleih und Surfbretter an. Abends kann man gemütlich zusammen sitzen, es gibt auch eine Bar. Als wir da waren, haben wir nur deutsche getroffen.